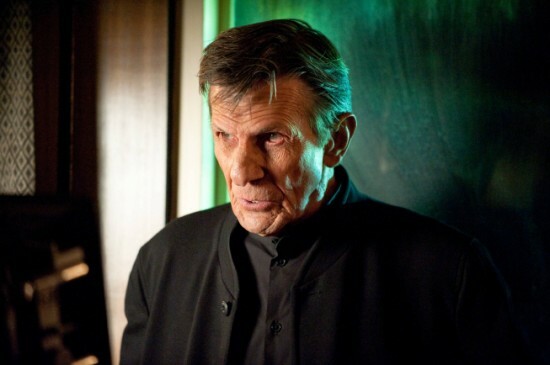 Editor’s Note: Fringe was recently renewed for a 13-episode Fifth and Final Season. 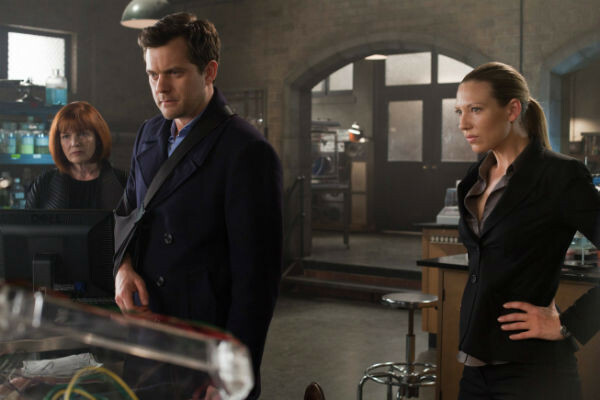 What a strange season of Fringe — and not the usual kind of strange, but the erratic kind of strange that made it so you really never knew what level of quality you were going to get from episode to episode. And it ended much the same way it had lived, with some really clunky storytelling and obvious revelations. One part of the problem stems from the fact that, while the situation seems to have gotten more complicated on this show, the storylines have actually been dumbed down considerably. Yes, Peter was erased from reality and forced himself back and Olivia has memories from before that happened, even though no one else does. And while that’s a bit much for any new viewer to swallow, at this juncture it’s ultimately pointless. William Bell trying to create a new world is the focus, and all the fringe science in the world can’t change it from being anything more than “evil genius wants to destroy the world.” For a show that has wrapped itself in mysteries and operated in grey areas for so long, such a straightforward conflict seems at odds with everything that’s come before. The bigger part of the problem, at least for the finale specifically, stems from episode 4.19, “Letters of Transit.” Within the context of the show up until that point in the season, the 19th episode was really enjoyable. The problem going forward, however, was that it had to mean something. And almost immediately after the show returned to the present, we started seeing the road towards the future in “Letters of Transit” being laid down. Did anyone actually think Astrid had been killed? We already know she survives to see the future. Was there any doubt what Olivia wanted to tell Peter when he walked into her hospital room? Of course not, because we know they have a daughter in the future and the show had already set it up in the present. In the last scene, when September the Observer says “they’re coming,” we already know who he’s talking about, because episode 4.19 told us. Don’t get me wrong, I appreciate flash forwards. I nearly gave up on Lost completely until they added them, and then I was interested again. And I appreciate the fact that they’re actually connecting the dots from the present to the future, as opposed to a show like, say, Battlestar Galactica where they just seemed to do things willy nilly. 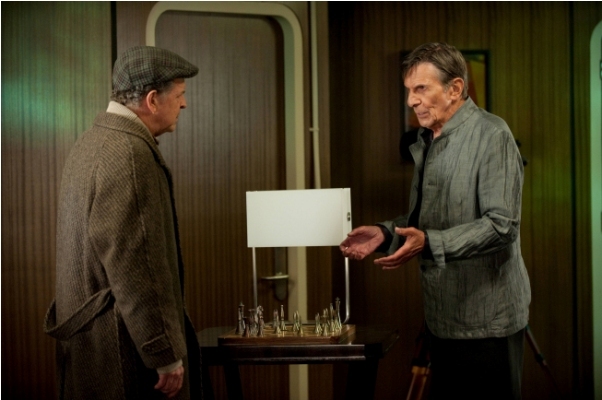 But the flash forward in Fringe seems to have removed a lot of the mystery and suspense the show thrived on. Events happen just a bit too conveniently now. Last week we learned that Cortexiphan causes cell regeneration – something we’ve never seen in the past. Funny enough, this plot device saves the day in the climax of the finale. It’s kind of like when they sent Lincoln to the other universe, and their Lincoln just happened to die so our Lincoln could stay. It’s all just a bit too pat for this show. While I appreciate the desire to place more focus on Olivia and the Cortexiphan trials, the fact that they spent all season dealing with Peter being a man out of time only to have that have absolutely no effect on the finale is a misstep. In fact, the show seemed to lose a lot of momentum once Peter finally accepted that he was actually still in his original timeline. The obvious solution would have been to have Peter’s bizarre circumstance play some part in the finale. This doesn’t mean exempting Olivia, either. Far from it. The most glaring omission of this season has been dealing with why Olivia remembers Peter, but no one else does. Just from a character standpoint, there’s no way Walter wouldn’t want to know why he didn’t get memories back, too, particularly since he had been seeing Peter everywhere before he rematerialized. For a story that shaped the vast majority of this season, it was strange to have it swept aside. The tidiness of this finale definitely made me think this was put together by people who weren’t sure they’d be around for another season. Aside from the last scene, everything else could very well have been an endpoint for the show. The day had been saved, Olivia was super soldier serum free, Astrid was fine, and there’s a baby Bishop on the way. And perhaps that was the cause of the last few weeks of this show. Perhaps they didn’t want to tell a story they didn’t think they’d get the chance to finish. That said, I expect better next season. I expect the show to be more focused. I also have a feeling that we’re going to pick up years in the future, with a new, expanded Fringe Division, and with a Bishop granddaughter running around. And I hope that, given who the “big bads” of the last season appear to be, that Peter’s status in the universe will be addressed. “Brave New World: Part 2” was an uneven finale for an uneven season. I suppose, then, that even if I was disappointed, it was a fitting way to close out season four. 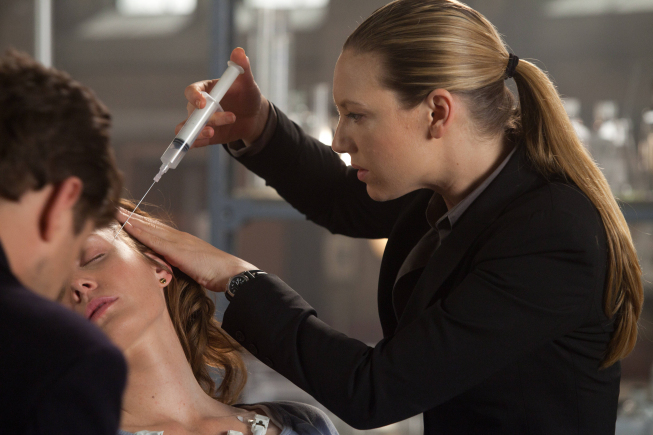 Fringe 4.22 "Brave New World: Part 2"